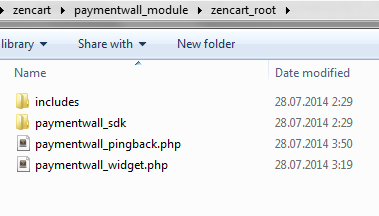 Upload all files from _zencartroot directory to your Zen Cart root folder using an FTP client of your choice. 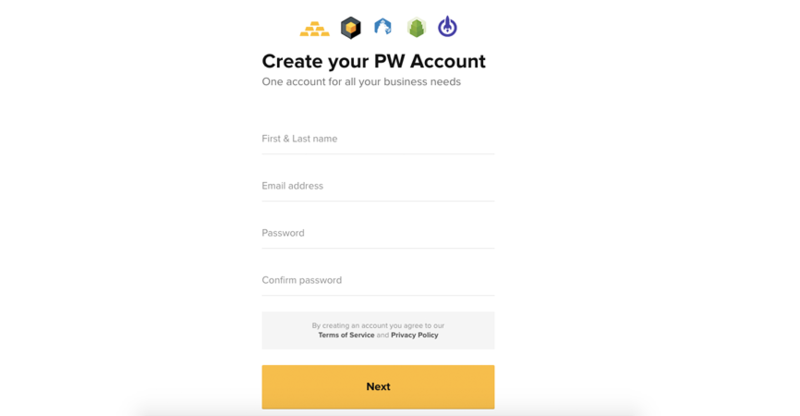 Press the Install button and fill out your Project Key, Secret Key and Widget Code. 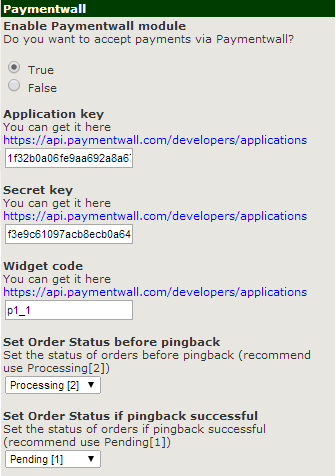 The App and Secret keys are located in your Paymentwall Merchant Account -> My Projects. 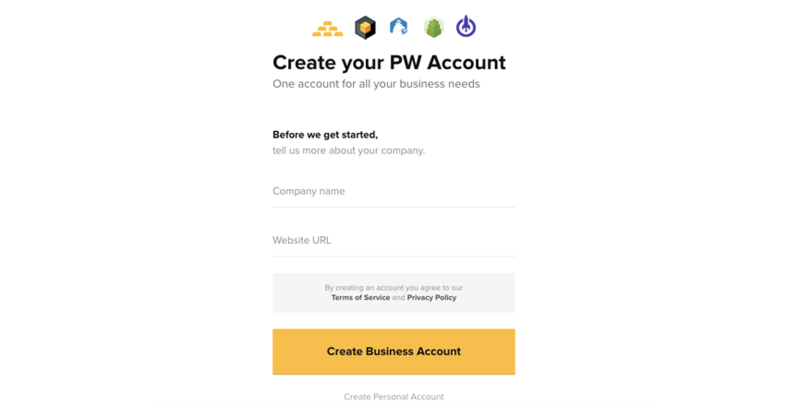 The widget code is located in the Widgets section. Save the settings by pressing the Update button.